If you’ve been contemplating getting central air for your home, you may think that the only option is the central air system that utilizes the ductwork that already exists in your home. That’s not true. There’s another option. Ductless air conditioning systems are a popular option because of their ease of installation and efficiency at cooling your home. These air conditioning systems are comprised of two parts: an indoor unit and an outdoor unit and there are many reasons why many homeowners choose them over other kinds of AC systems. 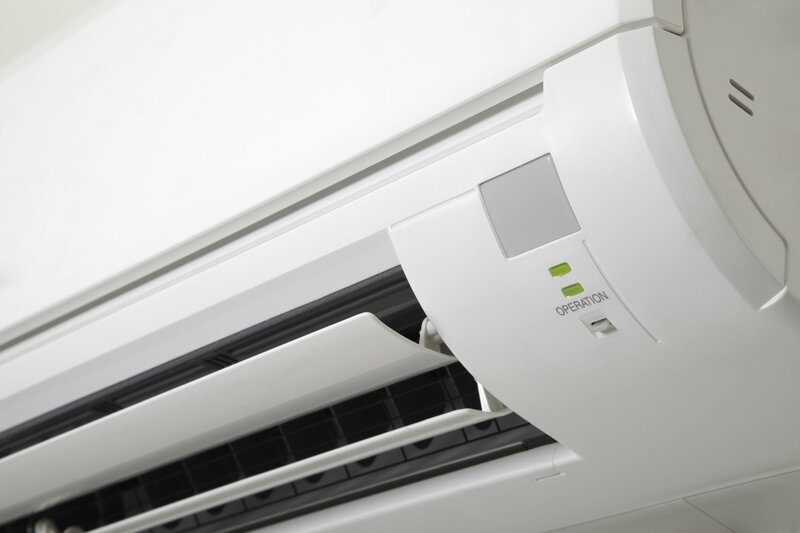 As compared to window or portable air conditioning systems, ductless central air conditioning units can very efficiently distribute the cool air around the space. Because just one indoor unit can effectively cool a large area, these systems are ideally suited to homes that feature an open floor plan, which can be a challenge for traditional central air systems. Ductless air conditioning systems are very efficient and easily controlled, which saves energy and money every month. Because they do not require the installation of extensive (and expensive!) ductwork, ductless installation is quicker, easier and less invasive to install than traditional central air systems. Because they include air purifying filters, ductless systems circulate fresh, dust- and allergen-free air through the home. That means that those in your home who suffer from allergies or asthma will experience a reduction in their symptoms. To entice customers to upgrade or opt for ductless systems (an energy-efficient alternative) many companies offer financial incentives to new customers. If you’ve been considering purchasing a ductless system, that incentive could be just the push you’ve been waiting for. Ductless air conditioning systems can be easily installed in one or two rooms of a house or apartment, making installation much less intrusive than what would be involved in installing a central air conditioning system. Once installed, the system can be controlled remotely and set to a timer, so that they only cycle as required, which allows for effective temperature management and energy savings at the same time. If you are considering a ductless air conditioning system for your home, be sure you to consult a reputable HVAC company who has experience not only in installing ductless systems, but also in offering services in ductless air conditioning repair NYC residents may require. Whether your home has ductwork or not, it’s worth investigating the possibility of a ductless system, as they do offer some advantages over other options. They offer a quiet, efficient, and easy-to-install option for keeping your home cool no matter what summer heat may throw at you. Ask trusted friends for recommendations or, if you don’t know anyone with a ductless system, do your own research to find a company with a good reputation to do the installation for you. Installation is quick, so you’ll be basking in air conditioned comfort in no time!